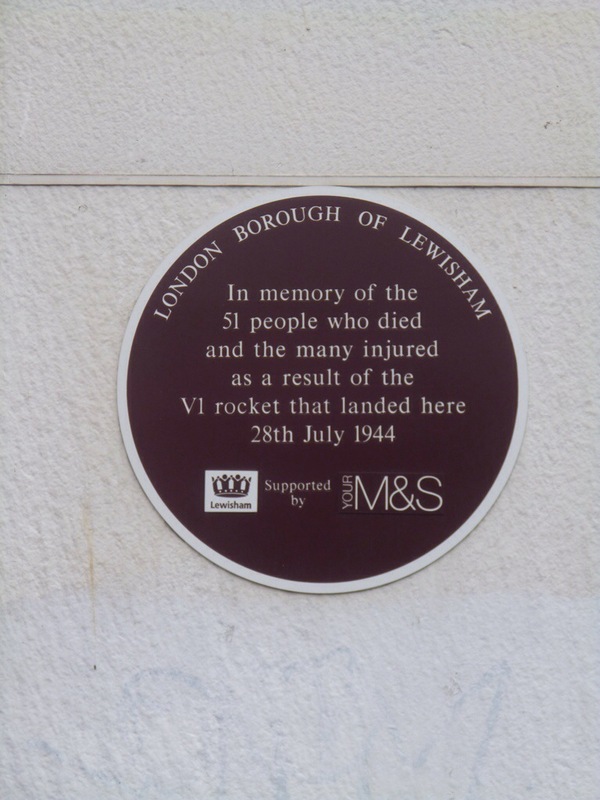 July 28th is the anniversary of the explosion of a V-1 rocket in Lewisham High Street in 1944, it landed on top of a street level air raid shelter outside Marks and Spencer’s but seriously damaged neighbouring shops including Woolworth’s and Sainsbury’s. It was 9:41 am on a busy Friday market day, so there was of little surprise that it was one of the worst single V-1 incidents with 51 deaths and 124 serious injuries in the shops, market and passing buses. As would be the case now, those who died were from a relatively narrow radius – most had lived within 2 or 3 miles of Lewisham town centre. Frederick Bridges from Wisteria Road and Ethel Clark from Taunton Road both lived on roads I often pass. There is a maroon plaque memorial at the site – still a Marks and Spencer shop – which was unveiled in 2011, and replaced an earlier footpath memorial which had become somewhat eroded. The victims are also remembered in a memorial at Hither Green Cemetery. The physical impact on the town centre was considerable too as the photograph on the Lewisham War Memorials wiki shows. 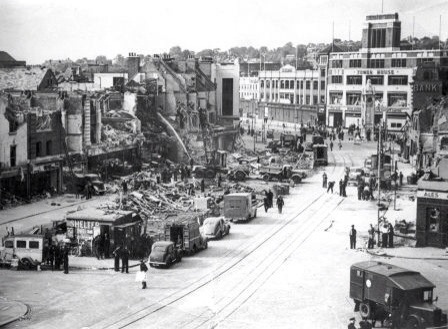 There was damage for up to 600 metres from the site which led to the post war redevelopment of the town centre. The first V-1, that became known as doodlebugs, was launched at London on 13 June 1944 a week after the D Day landings. At its peak, more than one hundred V-1s a day were fired at south-east England from sites in Northern France decreasing in number as launch sites were overrun until October 1944, when the last V-1 site in range of Britain was captured, although there were a small number of later air launched attacks. There were some attempts to use double agents to persuade the Germans that the V-1s were over-shooting their targets and landing to the north west of London, this may explain the reasons for the volume of V-1s that hit South London. The old boroughs of Croydon (171), Wandsworth (122), Lewisham (114) and Woolwich (77) were the 4 locations hit the most. The City of London and Westminster only received 17 and 29 attacks respectively. Over 6,000 were killed in the V-1 attacks and 18,000 seriously injured. It is worth remembering though that there were much higher death levels of ordinary Germans in the Allied bombing campaigns. In Berlin, almost half of the city’s homes were destroyed, and a further third uninhabitable by the end of the war, with over 20,000 deaths. Lewisham is twinned with the Berlin suburb of Charlottenburg-Wilmersdorf, where a bombed church remains as a memorial – the Kaiser Wilhelm Memorial Church was still being being repaired in 2013 when photographed but now re-opened. 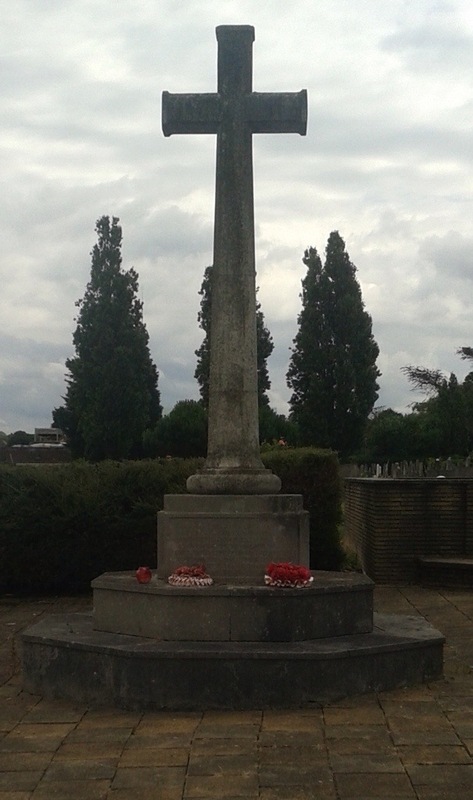 This entry was posted in Lewisham History, War Memorials and tagged Hither Green Cemetery, Lewisham High St V-1 on July 28, 2014 by Paul B. Interesting post and helps to explain the topography of the town now with those 60s or 50s buildings. It explains a lot doesn’t it. I had wondered why there was almost nothing pre-war along the High Street from where the clock tower now is to the Catholic Church, and the devastation in that photo explains why. Yes, interesting, and also explains why the buildings are so dull, I suggest. Thanks, it does explain a lot doesn’t it. Thanks for visiting! I am now intrigued about the link between Labor Day and the Lewisham High Street V-1! Interesting and good work with providing balance by talking about our bombing campaigns in Germany as there is a tendency to overlook this.